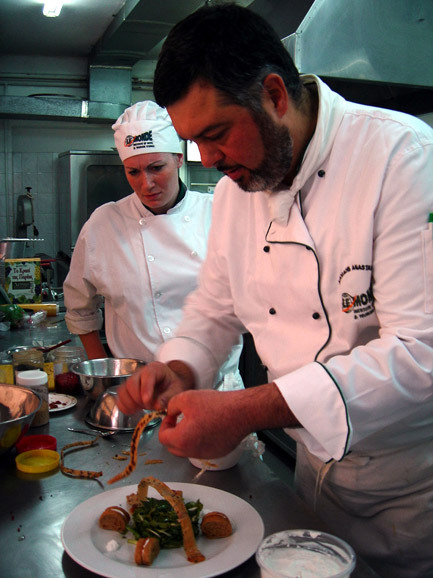 With great success ended the 3rd National Gastronomy Festival, organized by the Chefs’ Club of Athens on 28-31 January 2005 in EKEP exhibition center within the framework of the EXPO 2005. During the awarding of medals to the winners, the third and final day of the festival, our Institute won a total of 12 gold, 7 silver, 5 bronze and 3 praises and was designated as the best school with the awarding of the cup to Mr. Velissaropoulos Makis, General Director of LE MONDE Institute. 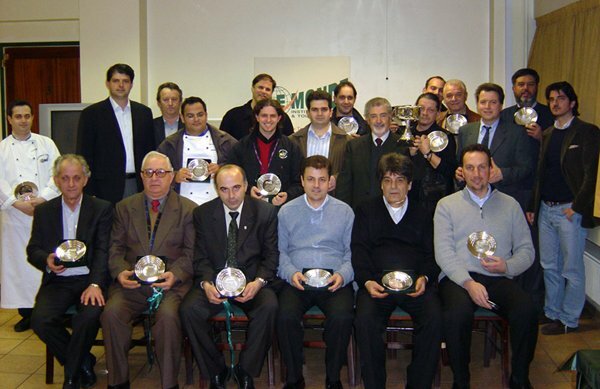 LE MONDE Institute, wanting to honor and thank its professors for guiding our students during the festival, organized on Wednesday, March 2, 2005, a special honorary awarding to those who contributed to this huge success. Year after year the competition attracts more publicity, and this year, the presence of the Minister of Tourism Mr. Dimitris Avramopoulos, as well as the presence of the media, helped significantly in that cause. 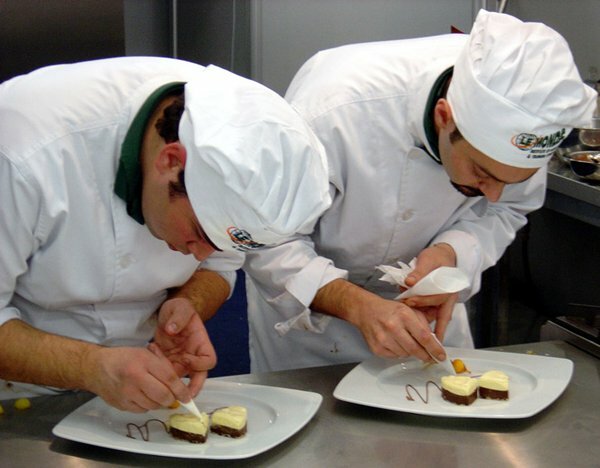 The essential part of the competition, the three-day gastronomic trip, started very positively for our Institute, as the first gold medal was won at the category of prepared presentation of personal dessert, as the assiduity of the plate had Mr. Protopsaltis and Mr. Pagiatakis. 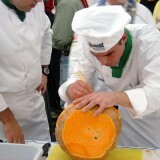 The competition began with the “live” creations and our students were eager to practice what they had long prepared for: enchant the audience with their creations. Thus, at the end of the first day we had already gathered 3 gold, 2 silver and 1 bronze medals. 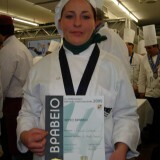 Specifically, in the category of pasta, students Chetelekidou Patricia and Papoutsiadis Nikolaos gained 1 gold and Konidis Dionisis and Panagiotis Iliopoulos gained 1 bronze medal. 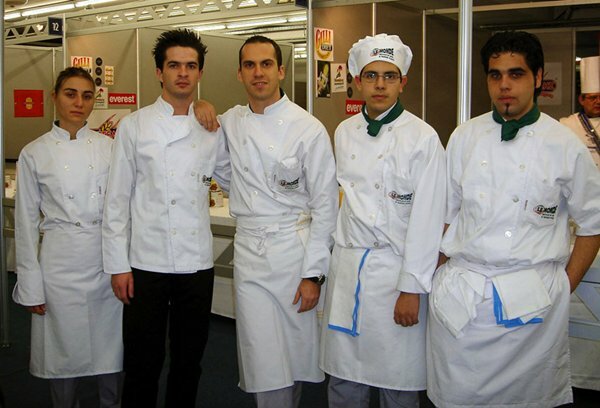 In the category of poultry our students Varveris Dimitris and Avgeris Peter and Cherouvim Ioannis and Stefanaki Gianna won 2 silver medals. 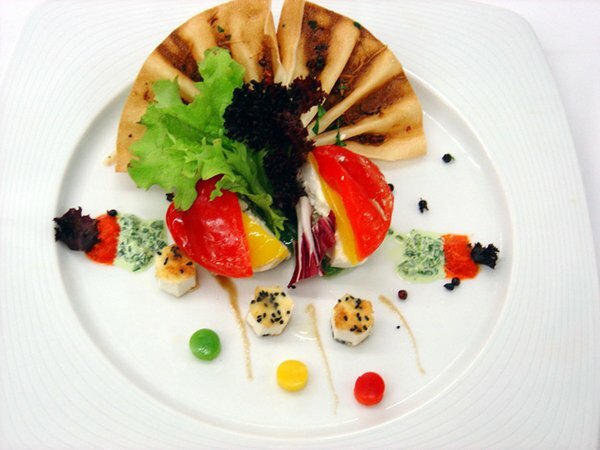 Last but not least, in the category of creating a Gala menu, Stamatopoulos Charalambos – Sarri Katerina – Athanasia Rapti and Bolovinos Charalambos won 1 gold medal. 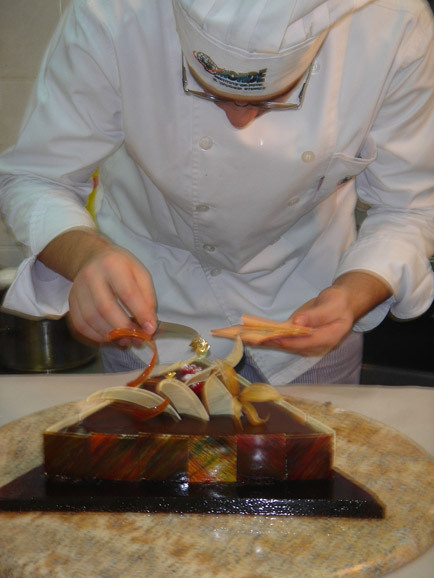 The second day of the competition began with the category of prepared small delights (magnardises) for 6 people and the gold medal of the day belonged to LE MONDE, with the joint participation of our pastry chefs Mr. Pagiatakis and Mr. Protopsaltis. 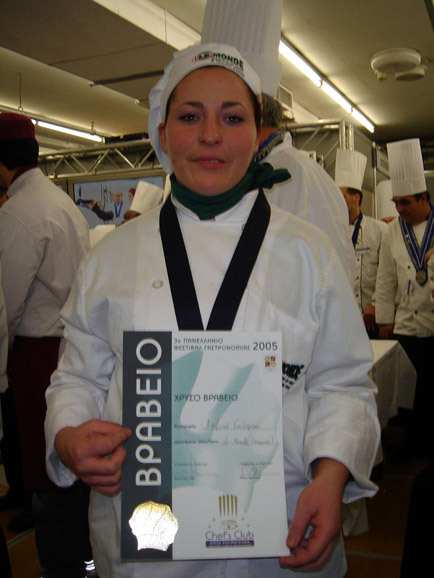 At the same time, the category of Greek Mediterranean menu with creative suggestions, such as chicken nests filled with apaki, sweet potatoes and cranberries liqueur, was taking place and our students Skiadas Nikos, Kiriakopoulou Maria, Fasilis Manolis and Kallimoukos Vasilis, managed to win 1 silver medal. The competition continued with the categories of the lamb presentation by Kanata Dimitri and Moroglou Niko, getting an award for their effort. 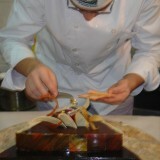 The second day ended with 1 more golden medal in the fish category with Nizamoglou Spiros and Papafili Thoma, with an impressive dish made of red mullet with cucumber flan and grape-fruit sabayon and 1 bronze medal with Nomiko Nikita-Aleksiou Efstathio deserving something better than the third place. 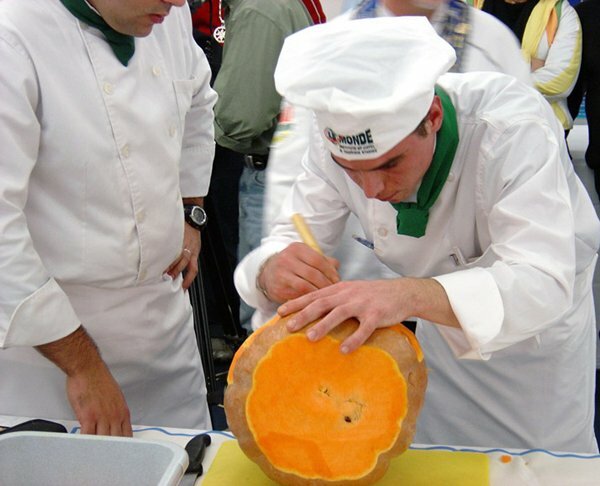 The third and final day of the competition was very impressive, having students and professionals excelling in many categories, while the carving of the vegetable definitely stole the show. In this category, both of our contestants’ teams, with equally impressive exhibits shared the winner’s podium winning 2 gold medals. 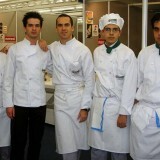 Teams constituted of Zarntaloudis Pantelis and Kiparissiou Stiliani and Giaples Dimitris and Kouklinos Manolis. 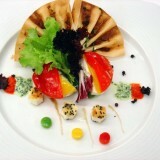 In the category of fresh salad with Greek cheese, Maltezos Filippos with Konstantakopoulou Alexandra and Drouliskos Giannis with Amiras Theologos, won 2 bronze medals while Gemos Giannis with Drakos Nikos gained an award. 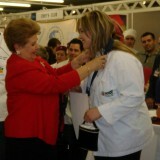 In the categories of distinguishing different odors, Madianos George won 1 golden medal and Psaltis Nikos won 1 silver medal. 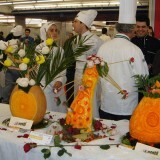 In the vegetable-fruit recognition category, Kalatzis Giannis won 1 gold medal and Bakatsakis Kostas won an award. 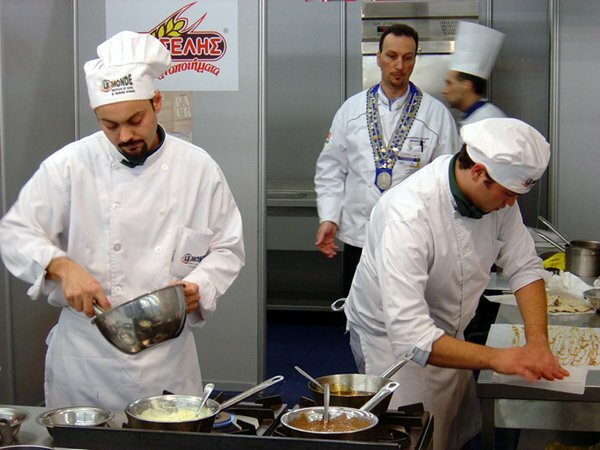 The contest continued with the dessert categories where our students Vlachos Panagiotis and Anastasiou Kosmas won 1 silver medal and Pilou Irene and Kokovas Vasilis, won 1 gold medal. 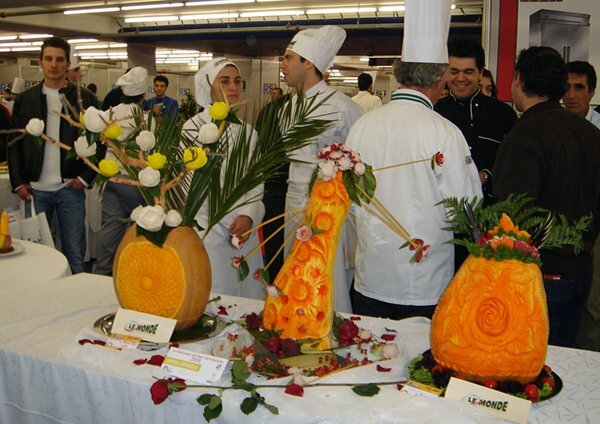 In the cake décor presentation categor, our students Michalitsanos Spiros with Melissaratos Andreas won 1 gold medal, while Lekou Alma with Kourouma Anthia won 1 silver medal in the professional’s cake category . We will also like to note that in the professionals’ categories, the participation of our graduates was amazing and touched us all. 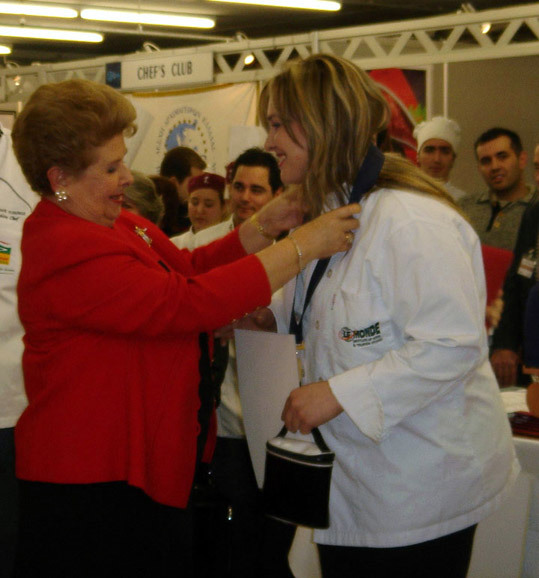 We hope and wish that year by year, the annual Gastronomy Festival will become even better by offering students and professionals, professional recognition and enhancement and experiences that will live forever in their memories.